Do you listen to music when you head out for a run? 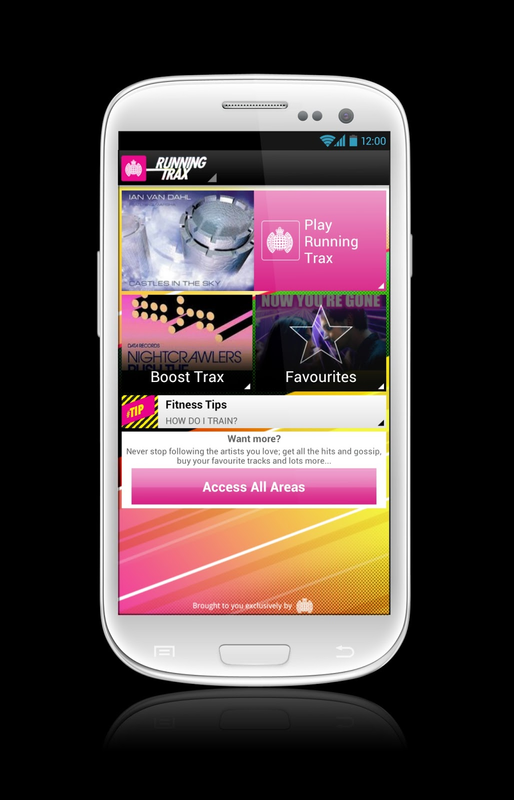 If so, you should check of the Ministry of Sound's Running Trax app. It is a continuation of the Ministry of Sound's workout and running complication cd's. It gives you amazing music with pounding beat and NO adverts. Music updates weekly with 40 new tracks so you won't get bored of the playlist, plus 7 BOOST tracks. It also provides you with training tips to keep you on top of your game. I had a bit of trouble downloading the app. It is only for Android and Blackberry phones with a 2.2 operating system. My smartphone is a few years old but we managed to get the free 2 week trial to on my husband's phone. The playlist was a bunch of tracks I hadn't heard before but really enjoyed. You can always skip a track if you aren't feeling it. Or mark it as a favorite to hear it more often over the course of the week. The tips offered were fairly basic but would be really good for someone who is just starting out with running. The beats will help you keep a steady pace and motivate you to keep going. I think the app is great for people who try to fit in runs when they can, such as on a lunch break. All you need to do is carry your ear buds and go. It is also really handy for those who don't want to carry too much on their run. Since the music is stored on your phone, there is only 1 gadget to carry, rather than a phone and MP3 player. Why not give it a try? 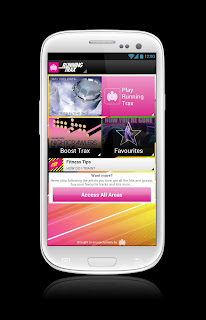 Click here for a free 2 week trial on your Android or here for a Blackberry. 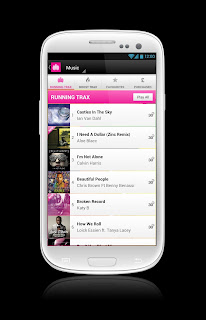 You can also search for 'Running Trax' in your app store. After that, it is £1/week subscription. You can even purchase your favorite tracks to keep forever for an ultimate playlist. Spring race season is here and you need to keep up with your training. You also need a powerful playlist to beat your PB. Running Trax can be the key piece to provide you with training tips, awesome tunes and maybe even the edge to run a little faster. Ministry of Sound did not pay me for this review. All opinions are honest and my own. 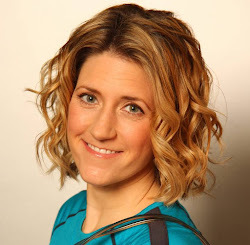 If you have a product you would like me to review, please contact me mollie@ptmollie.com. Definitely, a run without music is impossible.